An experienced team of Real Estate professionals devoted to meeting the needs of our residents and clients. Seasoned residential property acquisition and management specialists. Provide outstanding service. Communicate often keeping everyone in the loop. Treat our residents and owners awesome. Keep it simple with our leading edge propritery technology. Because we are passionate about real estate. We are really good at finding nice homes for our residents. We love to help our investor clients find great investment properties. Our team of partners started in residential real estate sales & construction management in 1984. We began acquiring and managing residential real estate in 1998. General Home Management Corporation specializes in managing investment properties in the metro Detroit area. The seasoned professionals at General Home have been delivering results here since 1984. Our goal is to provide both a superior customer experience and tremendous value for all of our residents and property owners. Our management team was born and raised in the city of Detroit. Now we’re enjoying raising our families in the metro Detroit area. We are uniquely familiar with the city and the surrounding suburbs and have years of personal and business history here. We have a unique perspective that pays off for the clientele that we manage investment properties for here in our area. General Home has over 30 years of experience in Residential Real Estate, Residential Construction and Residential Property Management in metro Detroit. We are truly passionate about earning your trust and exceeding your expectations. Let us earn your business and put our knowledge and experience to work for you here in metro Detroit. Looking for a professional, experienced property manager to manage your investment properties? Check out the helpful “need to know” info in this video. Client service is the foundation of any professional relationship. General Home provides a superior customer experience through communication and accessibility. Combining our extensive knowledge and experience in the real estate and construction industries with outstanding communication with owners and residents offers an unparalleled client experience. The pros at General Home believe that keeping it simple for our owners and residents sets us apart from the competition. From easily reaching the right person when you need to, to having simple easy access through our leading edge proprietary technology to the information you need 24/7/365. by clicking one of the 4 Pillars. 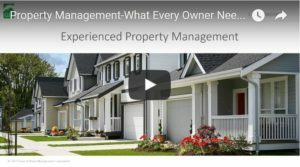 Professional property management services for individuals and real estate investors. Retail real estate services for the general public. Acquisition and sales services for real estate investors. Construction and general contracting services for property management companies and the general public.